Posted On June 01, 2015 by Team iCynosure. A heaven with rugged mountains and sandy beaches, a ocean of ancient reefs with acres of rainforests and mangroves, child friendly parks and enormous wide life, renowned world heritage sites contrasting man-made towering skyscrapers, cozy home stays against plush five star hotels, tantalising food to shopping delights, all of this coupled with multi-cultural diversity. Where else other than in Malaysia? A perfect place for an exciting experience. Selama Daang Ke, Malaysia. So what are you waiting for? Let's pack up and explore my Malaysian Dream together. As soon as I land in the country I'd love to take the connecting flight from Kuala Lumpur and head to the Malaysian Borneo and visit Sabah - the land below the winds. 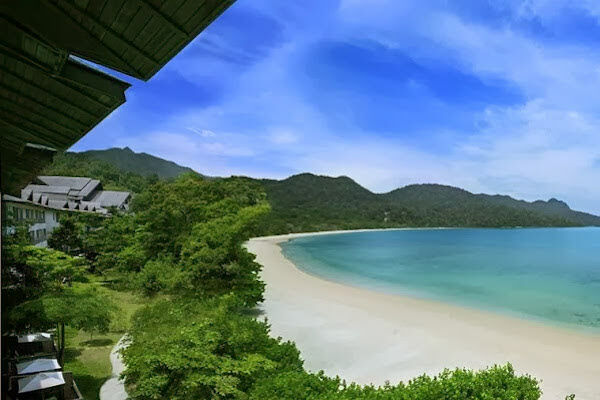 Sabah offers numerous amazing experiences that would be difficult to pass, especially the Tabin Wildlife Reserve, the Orangutan Rehabilitation Sanctuary, the Ranau Pouring Hot Springs, the gorgeous Sipadan island for diving among large pelagic species to muck diving at Mabul. 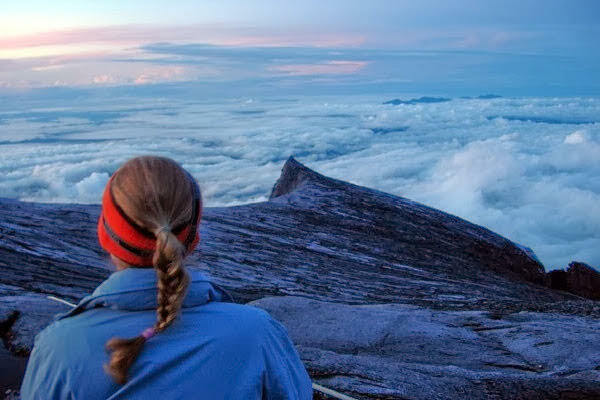 However, I'd head straight to Kinabalu National Park to experience a once-in-a-lifetime climb of Mt. Kinabalu. Even as a first-time climber, the two days scheduled climb will take me to the summit a Low's Peak to witness a spectacular view from 4095 meters above sea level. I'd feel on top of the world. A climb that will give me a new perspective from a relaxed ascend up to Layang-Layang to the difficult climb to Laban Rata. From rainforest giants trails to hard and rocky forest trails, steep inclines to uphill turns and finally the thicker forest that opens up into a rocky plateau of Laban Rata guesthouses, where I shall dine and rest for the night. The exhilarating views that change with every few steps from clouds to valleys and forest stretches as I'd head to the Sayat-Sayat checkpoint early next morning. Re-energising myself for final hour climb to the top of Low's Peak, enjoying the views in all directions. St John's Peak to the west, the Donkey's Ears to the east and the distinctive South Peak to the south shall give me a glimpse of what's to come. And then the dream to sit back and soak in the sunrise at the top of the peak will make the world stand still. I shall forget all the discomfort and pain of the climb, and experience awe and happiness. As soon as I descend from the great climb I'd rush to Langkawi to soak in the beauty of 99 lush green islands. A treat for the eyes, a beautiful countryside and peaceful landscape of paddy fields. Driving through Langkawi will be nothing short of my own romantic movie while agonising over the tragic love story of Mahsuri and wondering at the heightened combination of love, jealousy and curse of the historic woven legend. Embellished with beautiful beaches of white sands, crystal clear water and limestone cliffs, they look like glistering jewels sewn together in form of mangroves rich in flora and fauna. I shall sit back and relax holed in a wooden house framed by palm trees and soft breezes. Exploring the island riding around on a twin bicycle with my beloved I'd indulge in some water sports and dine in the underwater aquarium restaurant after treating my body at the world-class spa resorts. Oh yes, that's the bonus after the excruciating Mt. Kinabalu climb and a much-needed luxury that I'd love to enjoy. Once rejuvenated, a religious chant shall draw me towards Batu Caves. 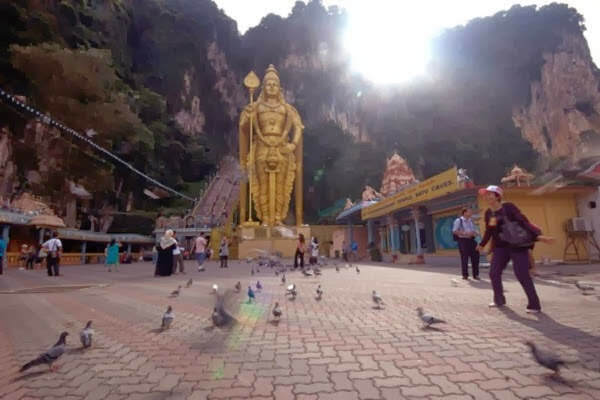 Just as all religiously bound travellers find their way to the iconic attraction in Selangor; I shall muster up all the faith and endurance to meet Lord Subramaniam, the son of God Shiva. I'd love to be one of the thousands of travellers who flock the Hindu temple and shines that form part of the natural limestone caves and go click click click trying to capture every inch of the gorgeousness in the frames to marvel at; at a later day. With loads of interesting landmarks and visual treats that I would enjoy from time to time one thing that I wouldn't want to miss are the tantalizing treats that Malaysian Cuisine offer. One of the few dishes I sure want to savour is the traditional dish Nasi Lemak of steamed rice cooked in coconut milk and wrapped in banana leaves. Roti Bawang and Roti Tissue especially prepared by twirls and twists in the air served with various curries shall add the home touch in the foreign shores. Wanting to slurp on local Malaysian flavours, I can already feel the carvings and the growls in the pit of my stomach. And finally, on my way back from my amazing journey, I shall pretend to be super shocked when asked to pay extra luggage charges. And I'm sure you know why? Because no sensible traveller shall be able to step out of the Malaysian borders without Shopping their hearts out and their wallets and credits cards dry. Yep and count me as one of them too. Two things that shall make it into my luggage are a brand new advanced laptop and a fantastic camera, perks of being a blogger. Another great shopping must for me is the Malaysian arts and crafts products and some traditionally hand-woven fabrics especially the batik that is made using hand-dyeing via wax and the songket that is made by weaving gold and silver threads together to create intricate designs. These make the best souvenirs that I shall want to bring back for my loved ones. I would surely be spoilt for choice as Malaysia offers such diverse shopping options. From the farmer's market (Pasar Tani) I'd definitely pick up some fresh grounded traditional spices and some from the Chow Kit Market as well. The Night Market sure will be my favourite place to bag some great bargains just like the stores at the airport weave their own magic with the 'Duty-Free' wand and the invisible thread shall just pull me in to overcharge my already dry credit card. Phew, that seems totally crazy but I sure want to do that in reality over and over again.